This week I relocated from working at the temple on the mountaintop to the tomb in the valley. It’s my official transition to the second and last part of my adventure as an archaeologist this summer. Having been here for three of the six weeks meant it was time to rotate crews and excavation sites, so I am now working under a different site director in a very different place. Thursday of last week was supposed to be my last day at Ad-Deir, so I knew I had to make it special. The climb up those steep, eroded steps usually takes about 30–40 minutes, but our site director claimed the record from last year to have been 18 minutes. Naturally, I set out to beat that record. At a “light” jog, I made it up and through the temenos wall in 12:57. I say “light” because it wasn’t particularly fast, but the constant steep incline made it challenging. It was fun and exhausting. And Justin, thanks for encouraging me to jog with you this last semester. It was good conditioning. Our lower trench on the Ad-Deir Plateau. 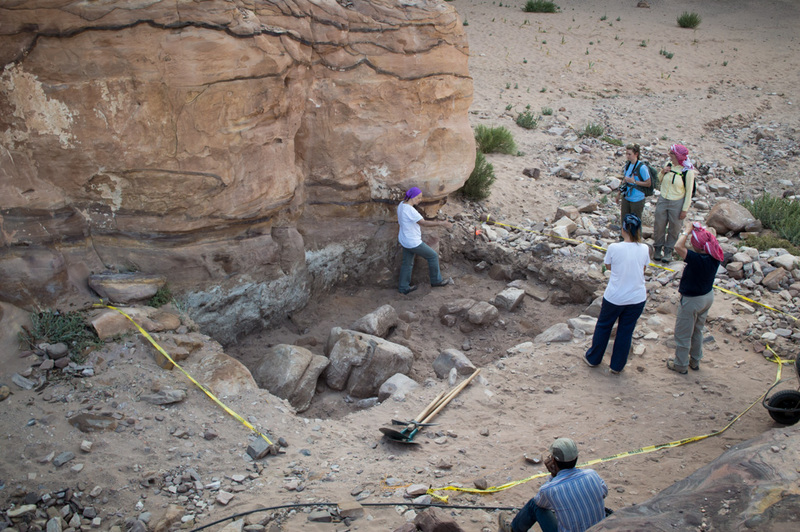 Our excavation trench at the great circle. Sunday was the day of the rotation, but because two of the students in the other crew were sick and out of commission, I was asked to stay with the Ad-Deir group for one more day. So that meant Monday was when I got to begin my time at the tomb. Saying goodbye to a fellow Bedouin worker at Ad-Deir. 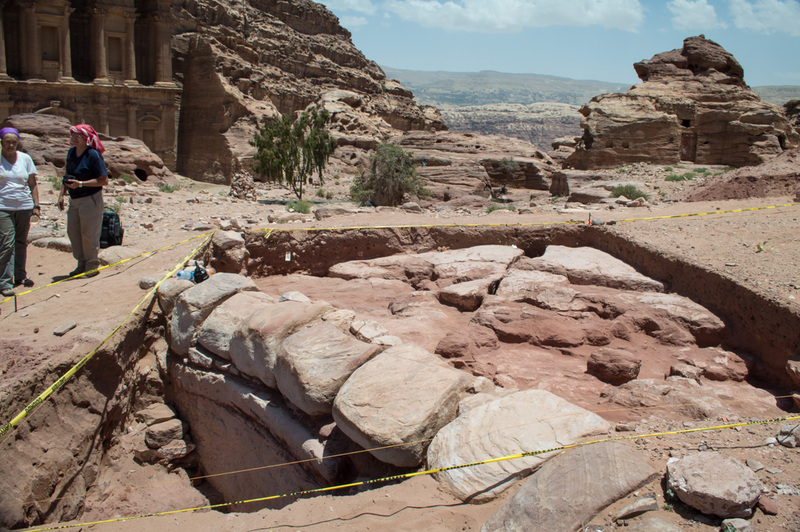 Nabataean tombs are very filthy places. Well, at least today they are. 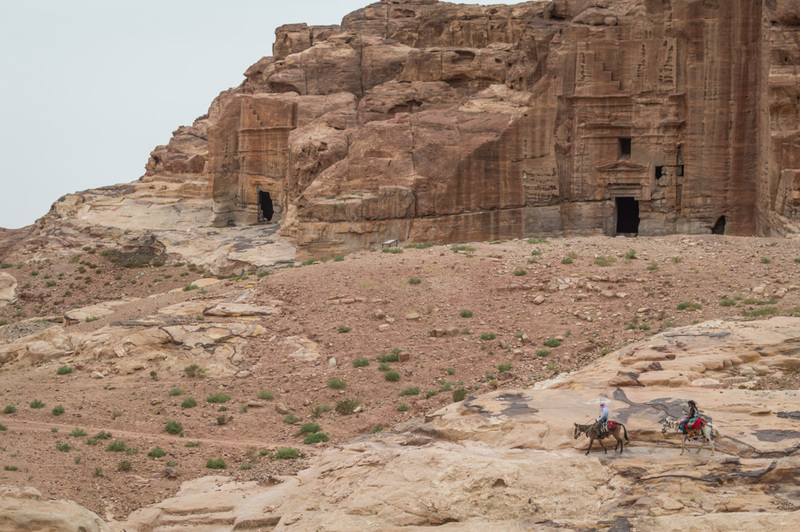 These tombs have been used by various peoples and for various purposes since the Nabataeans abandoned Petra close to two thousand years ago. The Bedouin have used them for shelter and as stables for the last few hundred years, which is plenty of time for both human and animal waste to accumulate. 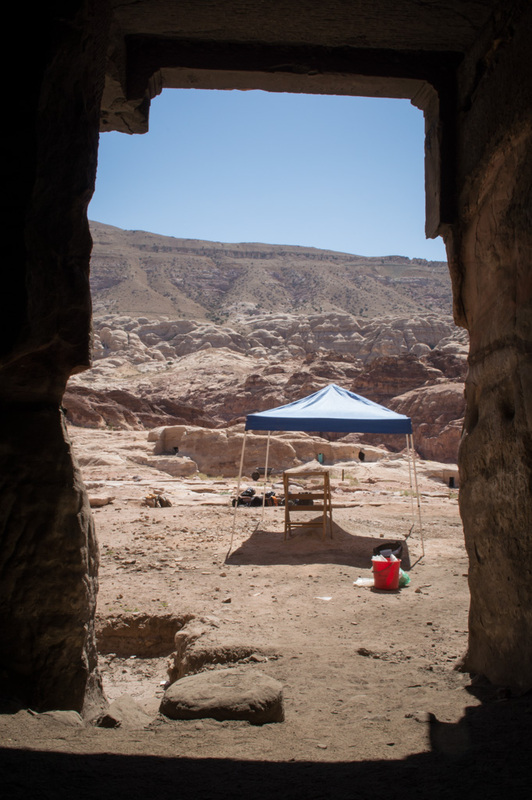 In our tomb at Wadi Mataha, it takes digging well over a meter deep in old dung before getting to the floor the Nabataeans would have seen. Luckily, it’s been here long enough that the smell has _mostly_ gone away. Also luckily, we have Bedouin workers for hire to take out unwanted dung in the places we care about. Our tomb is the one on the right. 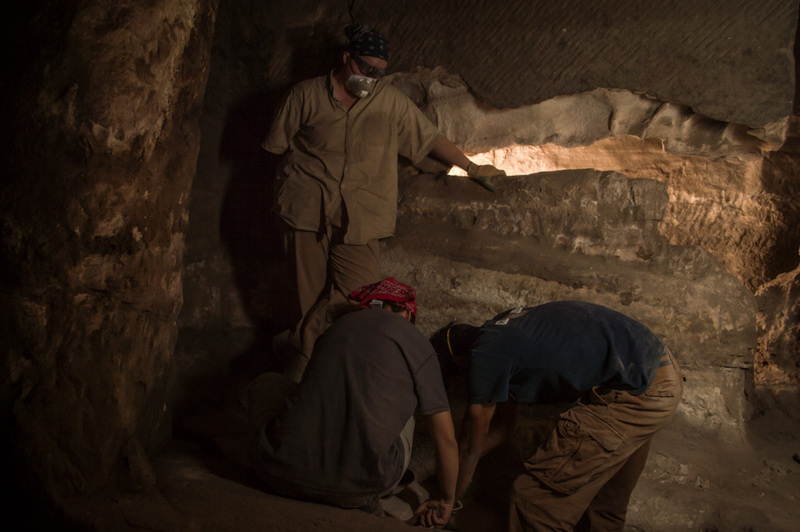 Most of these tombs have been broken into by looters looking for precious objects buried with the bodies. 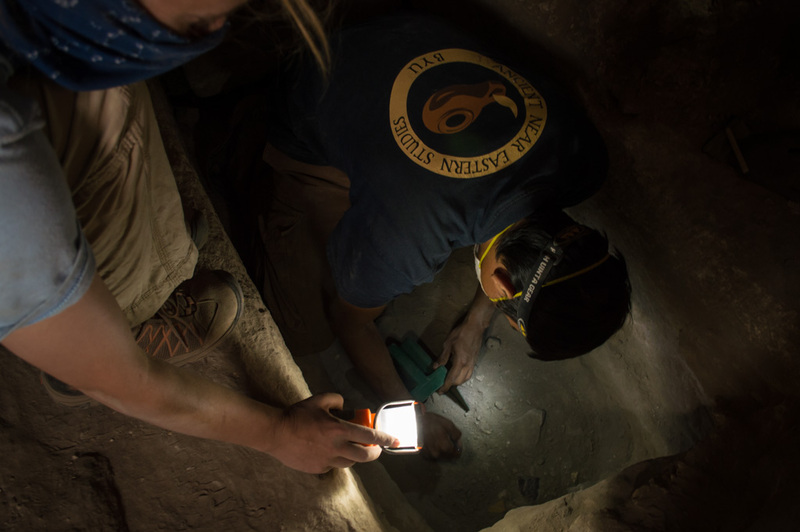 The previous archaeology group finished excavating a small loculus near the corner of the tomb, and were lucky enough to find part of a human skull still there. My group now gets to dig in a slightly larger loculus. Our ingenious reflective lighting system at work. The Mummy, anyone? Over the course of the week we have taken turns digging through the southern part of the loculus and sifting all the dirt we pull out in our handy screen. It was only small animal bones and the occasional pottery sherd at first. That is, until we got down to our human skeleton. I got to pull out the skull—a very unnerving experience considering the extremely fragile state of the bones. We have now removed the bones of the entire upper body and taken them to our lab for examination. 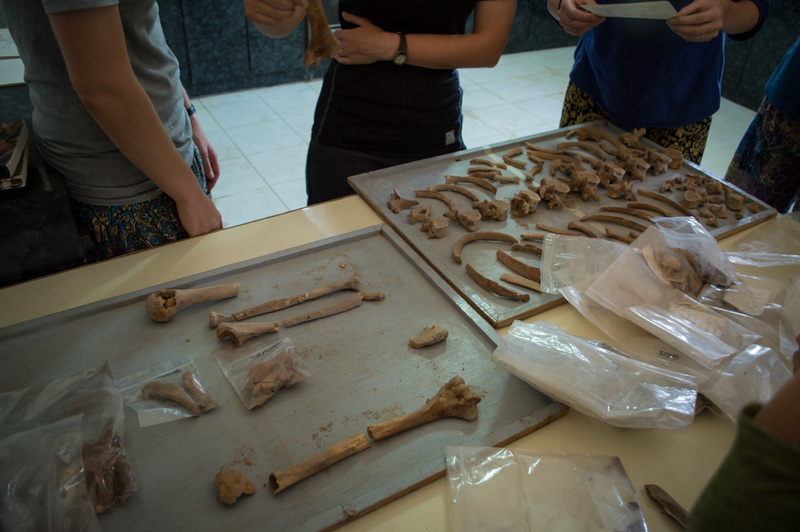 Much of yesterday was spent identifying bones and teeth, particularly in order to assess the gender, age, and height of this Nabataean. I attempted to reconstruct the shattered scapula—one of the more complex and thin bones in the human body—and also got to help with identifying and measuring some other bones. Goal accomplished: Find a human skeleton in Petra. It's all about working hard in uncomfortable positions. I find that sometimes it’s easy to get so caught up in the data-driven aspect of archaeology, that I forget to reflect on the larger picture. These bones once belonged to a living, breathing human being, with goals, troubles, passions, fears, friends. Sure he lived in a very different time, with some very different customs and beliefs, but underneath it all, we share so very much in common. 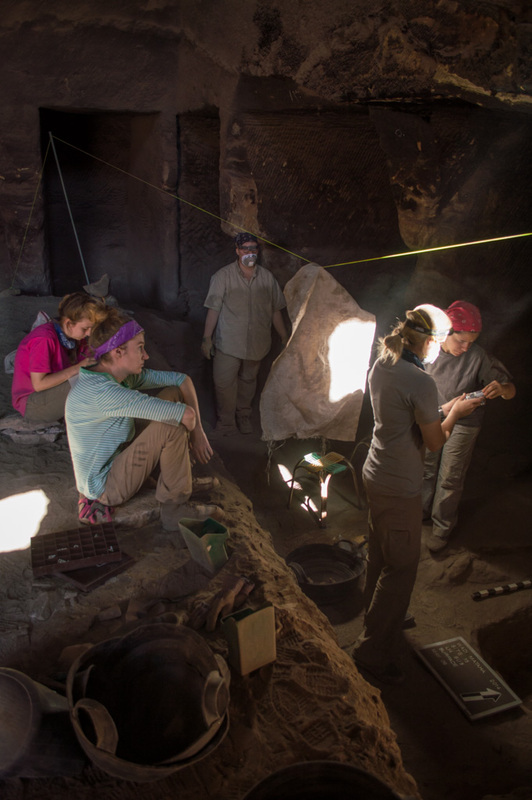 And after all, that’s what archaeology, anthropology, and history are really all about—about the human connection we all share that allows us to learn so much about ourselves by learning about others.